Infront Sports and Media, the Official Media and Marketing Partner of the World Curling Federation, has secured a joint title sponsorship agreement for the 2009 World Women's Curling Championship in Korea, with Titlis Rotair Cableways and Lucerne Tourism sharing the title package. 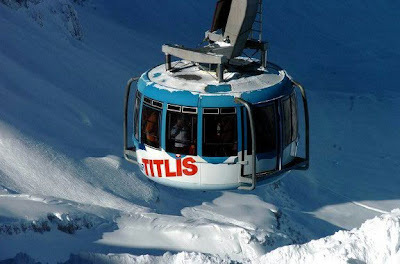 Read why the World Women's event is to be called The Mount Titlis World Women’s Curling Championship here. The curling season shows no sign of slowing down, as my diary reminds me. So here are some serious bits and pieces to be thinking of over the next few days. Firstly, don't forget that the World Juniors begin today (Thursday) in Vancouver. Tuesday's preview is here. Follow the links in that post to find out what is happening in Vancouver. 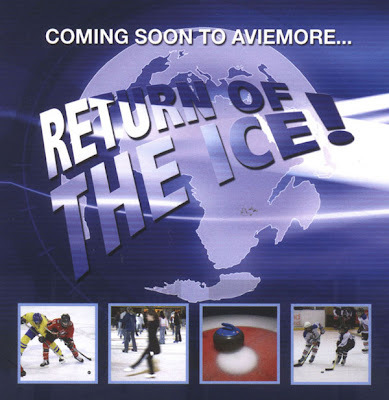 Later today the Scottish Masters, the over-60s, gets underway at the Greenacres Rink. Both men's and women's events will be played. Twelve teams, two sections in each competition. First stones get thrown at 1.30 pm. I will have some photos from the event at some point. Find the results here. On Saturday and Sunday the Overs and Unders (or is it the Unders and Overs) is at Braehead. This is a Ladies' Branch initiative to encourage some of our girls to play with their peers. Ten teams are signed up, in two sections. The results will be here. On Friday, the Allister Boyd Charity Curling Bonspiel is at Ayr Ice Rink in aid of the Teenage Cancer Trust and CLIC Sargent. Lots of items for auction, and to win in the raffle. See here. Also on Friday, female wheelies get together with the ABs at Hamilton to celebrate International Women's day. This has been a great success for the past two years and I hope it will be as much fun again this time. It is hosted by the South Lanarkshire Wheelchair Curling Club in association with the SWCA and the RCCC. The event has again received funding from the Scottish Community Foundation Women's Fund for Scotland. Moving on, did you see that the draw for a next season event is available here? Actually, it is the first of the U-17 Slam events, at Perth, April 8-9. Sixteen teams have signed up for the first of the group of U-17 competitions at Perth, Greenacres, Lockerbie and Hamilton. There has been talk of a further event next season - Forfar and Braehead have both been mentioned, but the RCCC Competitions Manager Colin Hamilton could not confirm either of these when I asked him earlier this week. The Slam winners usually go off to the WCF Junior Camp in Fussen as their prize. Such is the popularity of the WCF camp that the Royal Club is organising its own Homecoming Scotland International Junior Camp, July 19-25, in Dumfries. I've enthused about this before on the blog, see here, and entry is now open. Follow this link to contact Judith McFarlane, the Royal Club's Development Officer, for details. This new international camp will cater for a slightly older group (16-21) than the successful summer camps at Dolphin House. I know this blog is read in many European countries - hopefully curlers there will see the ad and come to this part of Scotland in July! April 3 is the deadline being shown for applications. The cost is £400 per curler - this includes accommodation, meals, tee-shirt, activities and course instruction. A minimum of thirty-two junior curlers is needed, and maximum is sixty-four. First come, first served. Lastly, can I draw your attention to the grand plans that a group of enthusiasts have for a sports centre in Aviemore. This would include a separate curling facility, perhaps just three sheets. Only ideas yet, but some optimism is needed these days, and let's hope that it will all happen some time in the future! I have happy memories of curling at the old Aviemore rink many years ago. The website for the venture is here. And no, I've not even going to complain that the only photo of a curler that could be found for the website header is that of Germany's Andrea Schopp! Curling Today would happily supply a Scottish pic. And a final treat for those oldies out there who remember the Chalet Motel trophy at Aviemore, here are some more bits and pieces! Enjoy. This promotional postcard was being distributed recently. Your "bits and pieces" made me "glad all over"